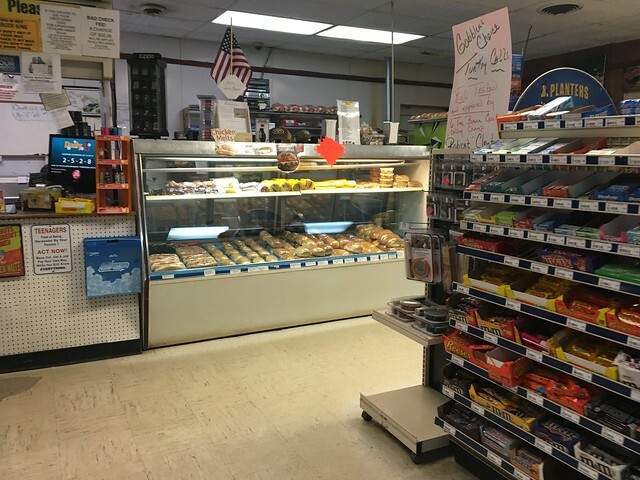 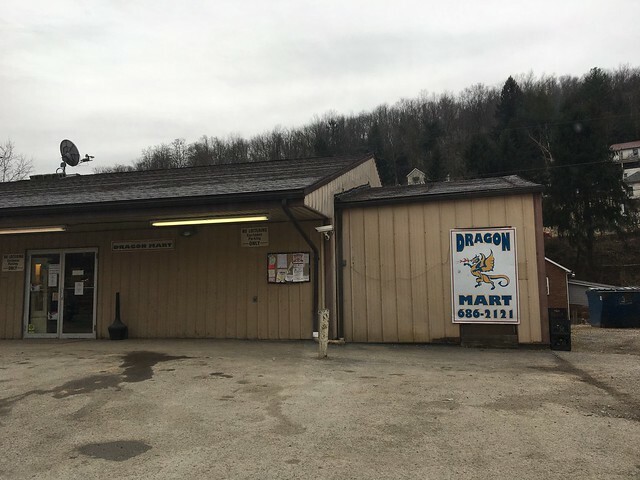 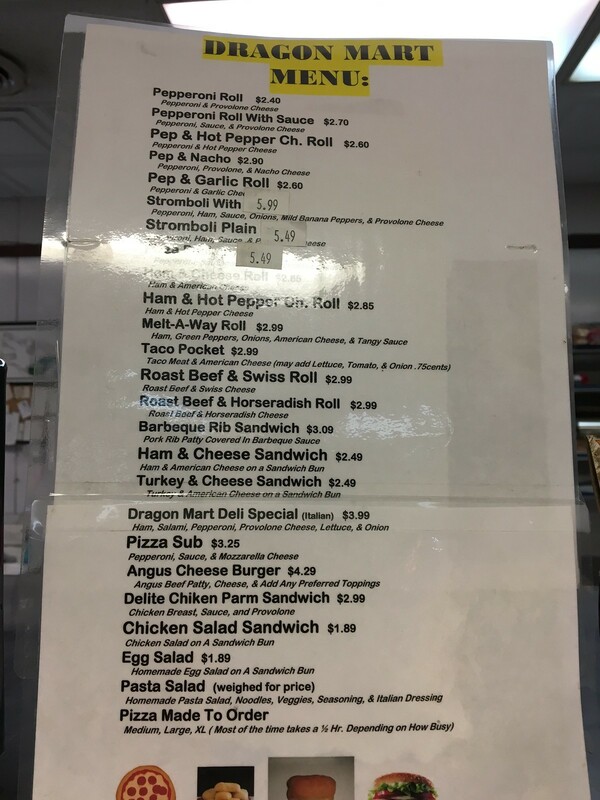 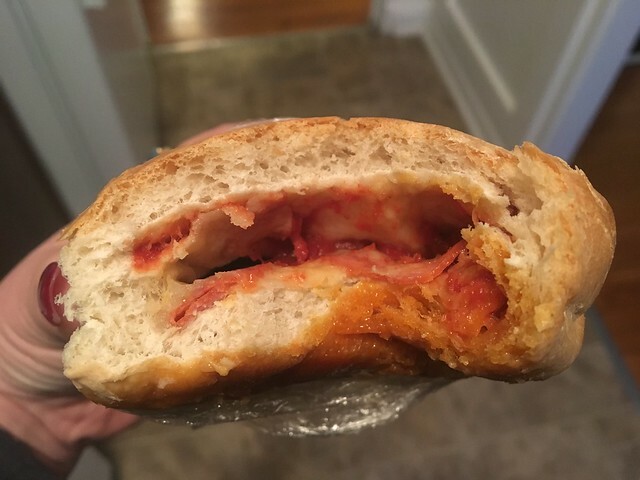 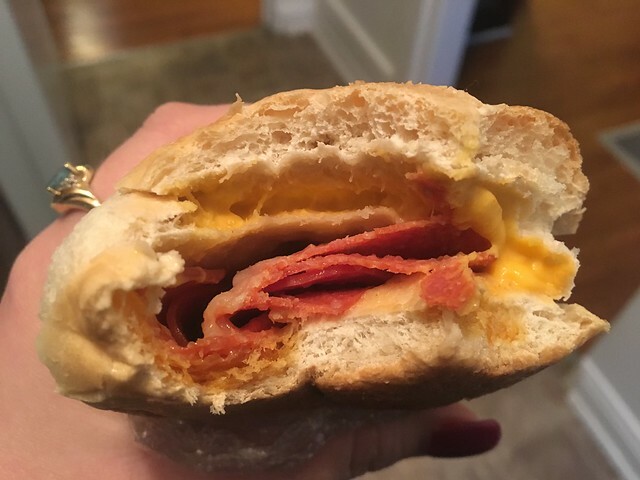 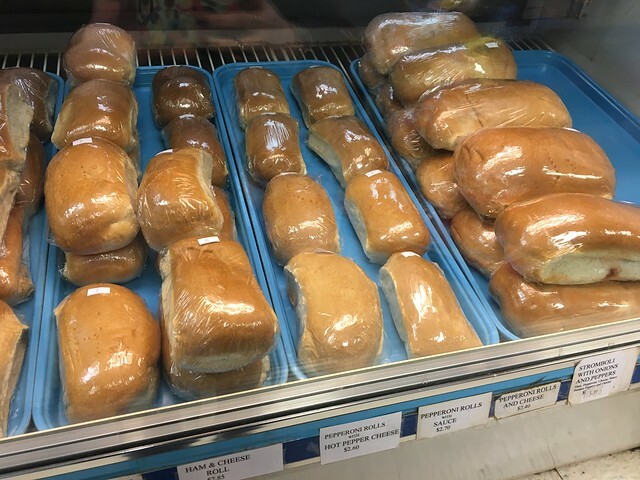 Dragon Mart is a convenience store in Cameron that recently took home second place in USA Today's 10Best Pepperoni Roll Contest. 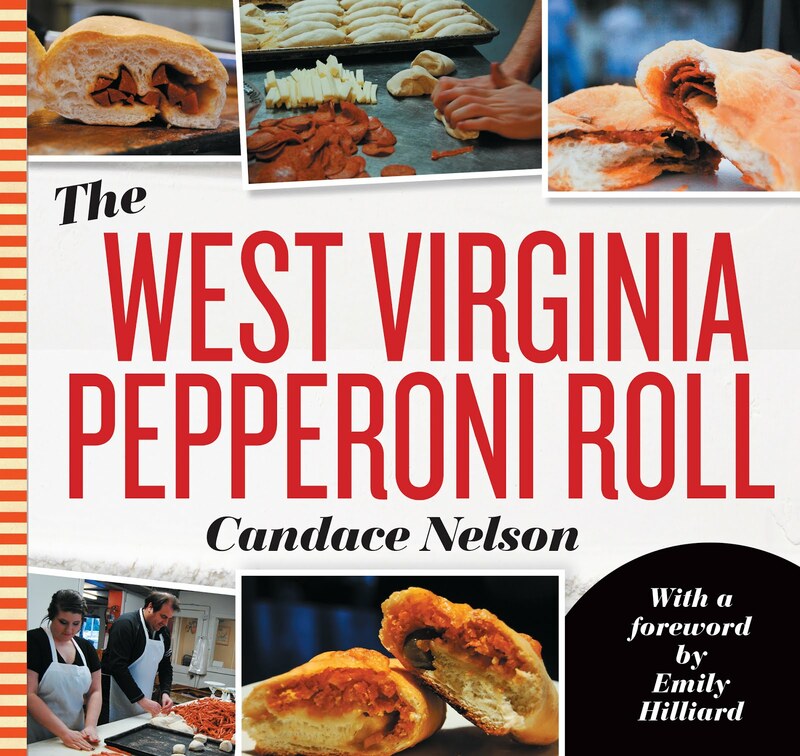 It's a convenience store, but it bakes fresh pepperoni rolls every day. 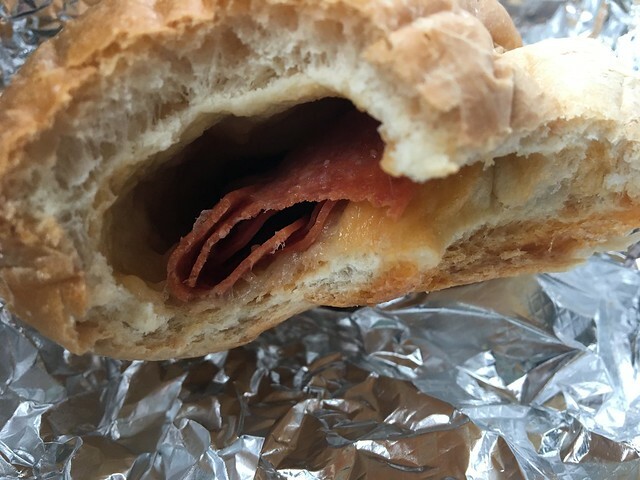 They have about five kinds of pepperoni rolls. 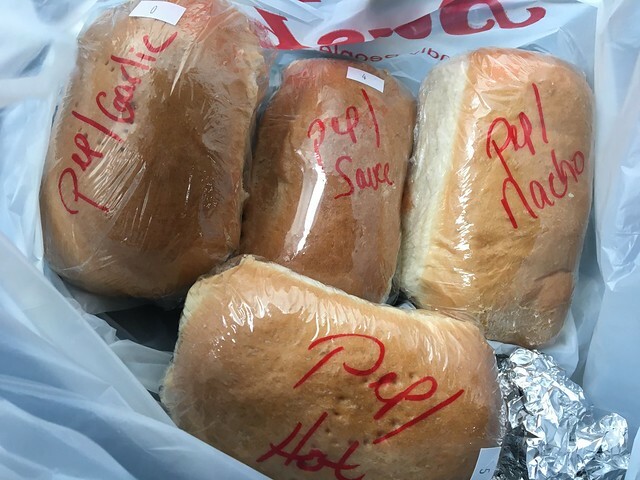 So, of course, I had to try one of each. 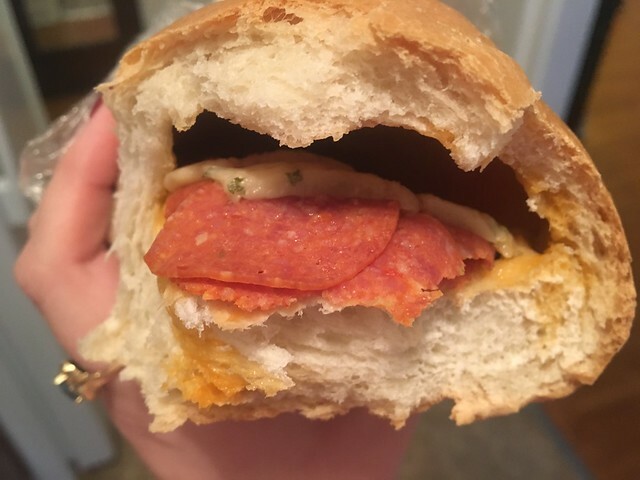 I've never had pepperoni rolls with nacho cheese or garlic cheese, so those were new.